Kedarnath, which has exceeded expectations at the box office, is expected to continue its strong performance in its third week. On its second Saturday, Kedarnath maintained good business despite challenge from Aquaman and yet-to-dwindle charm of Rajinikanth's 2.0. The debut film of Sara Ali Khan saw its net earnings rise by approximately 50 per cent to Rs 3.75 crore on its ninth day on the box office, according to a report by Box Office India. With this, the total box office collection of Kedarnath reached Rs 48.25 crore. Kedarnath, which has exceeded expectations at the box office, is expected to continue its strong performance in its third week. With a good second week so far, Kedarnath looks poised to cross the Rs 10 crore-mark in terms of net box office collection. While Kedarnath has lost almost Rs 75 lakh in box office collection due to the ban on it in seven districts of Uttarakhand, it has done well in Delhi and Uttar Pradesh circuit, the Box Office India report said. The film was banned in these districts by district administration's order following protests from priests of the shrine town of Kedarnath over the film being a love story. The film has become the second-highest grossing of Sushant Singh Rajput. It has already crossed the Rs 46 crore net box office collection of his Shudh Desi Romance which was released in 2013 and is behind MS Dhoni - The Untold Story. On the other hand Sara Ali Khan, daughter of Bollywood actor Saif Ali Khan, has received praise for her acting chops in her debut at the silver screen with Kedarnath. 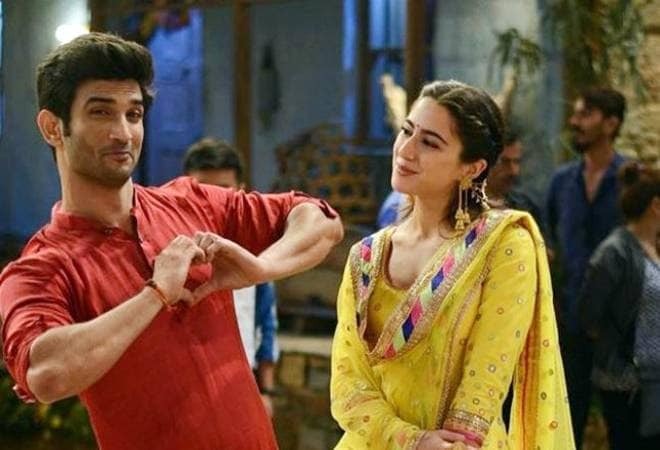 The movie narrates a romantic tale of a Muslim boy Mansoor, played by Sushant Singh Rajput and a Pahadi Pandit's daughter Mukku, played by Sara Ali Khan against the background of the devastating floods that ravaged the town of Kedarnath in 2013.